Start with picking out all those hair tangles accumulated in your hair brush. Until you get it free of old hair, you cannot make it clean and germ-free. Keep the brush in a pot and pour hot water on it slowly. Make sure that you are not using boiling water for this purpose. Put vinegar and dish detergent 1 tablespoon each in the water and leave for the whole night. While dish detergent makes the brush clean, vinegar makes it free from germs and microbes. Next morning, hold the brush under running water and rinse the dirt build-up as well as soap residue off it. If cleaning in between the fallen fur becomes a bit difficult for you, simply take an old non-usable toothbrush and scrub the bristles gently. Finally, take the brush out of the water and shake the dripping water away. Wipe it with a clean towel and leave for drying. 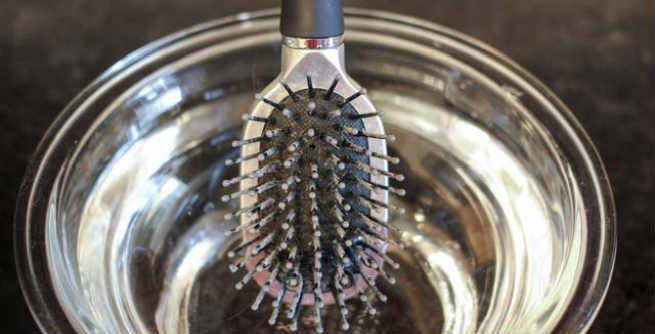 In this method also, you have to remove the old hair stuck in the bristles first. You can eliminate the massive tangles with your fingers or make use of a toothpick for the finer ones. Hold the brush under warm running water for 4 to 5 minutes. It will make the bristles soft and hence, your task will become much easy. However, the brush should be drenched thoroughly and get totally wet. 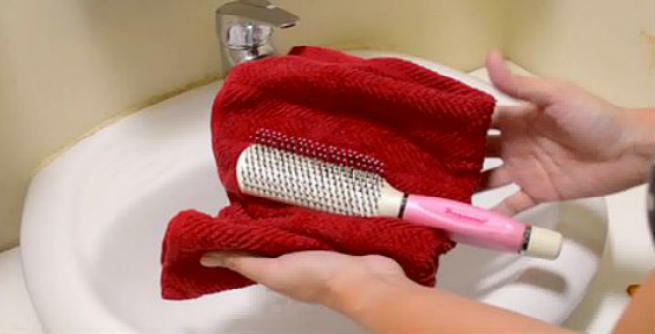 Now, take a mild shampoo and pour onto the bristles of the hair brush in a little amount. Scrub carefully with the help of an old toothbrush so that no grease is left on the tool. It is important that you scour only at a particular direction. Otherwise, the thing would turn into a complete mess. Hold the brush under the warm running water once again. Continue scrubbing unless and until it becomes absolutely clean. At last, dry it on a towel. Like other two methods, start this process also with the removal of the hair strands that are gathered in the bristles of your hair brush. Now, take a large mug and pour enough white vinegar into it. Yes, you do not need to use soap or shampoo in this method. The vinegar itself will clean and sanitize the brush efficiently. Keep the hair brush in the mug and let the white vinegar sit on it. It is recommended that you leave the brush overnight in that position. Next day, when the brush is soaked properly in the vinegar, take it out of the mug and rinse with fresh cold water. Finally, dry it on a towel and use again. 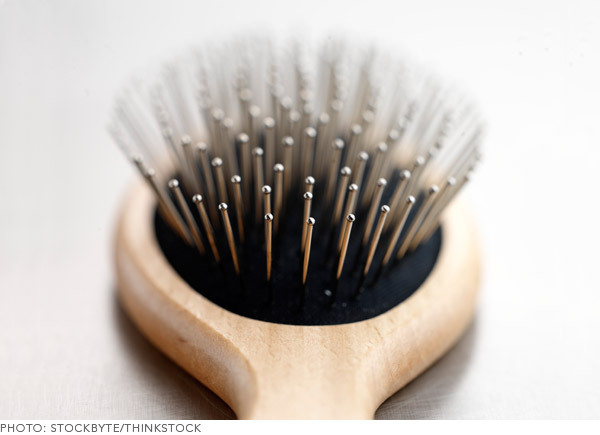 Try to clean and disinfect your hair brush at least once a month in order to increase the longevity of the tool and keep your hair healthy at the same time.